【Japan Market Only】Chassis pre-installed with high performance brushless motor! Next generation MINI-Z introduces even more durability and power! The next evolution of the MINI-Z Racer now incorporates the latest brushless motor technology into its performance. Never used before on a MINI-Z, The body/chassis set comes with an optional Xspeed VE ECO Tune Brushless Motor as standard, which boasts easy-to-drive characteristics and outstanding run time; non-contact properties that minimize wear and reduce electrical noise to deliver outstanding linear response and smooth acceleration for a sensorless brushless motor that is approved for use in the MINI-Z Cup and other official races. A limit applied to maximum RPM keeps the playing field level for all drivers. In addition, a newly designed circuit board with ICS function connects to a PC (adapter sold separately) for precision setting adjustments.  Just download the ‘ICS VE Manager’ software from the Kyosho website to manage the brushless motor settings and remove the RPM limit to extract the full potential from your machine. The newly designed upper cover also allows simple mounting of the optional gyro on top and the chassis is equipped. Now the MR-03’s dynamic performance is turbo-charged with brushless motor power to mark a new stage in the evolution of MINI-Z performance and technology. Trademarks, design patents and copyrights are used the approval of the owner Volkswagen AG.